What is the connection? - Kane Constructions Kane Constructions | What is the connection? 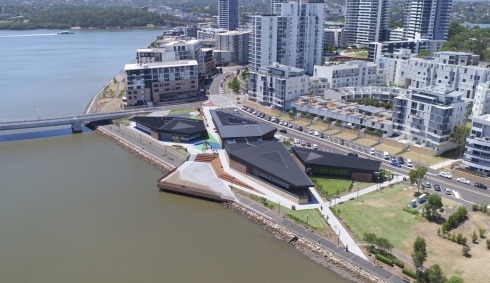 In July 2015, Kane commenced works at the $17m Rhodes Community Centre (aka The Connection) for Canada Bay Council. Completed late 2016, the facility has been a massive hit with local residents, making numerous appearances on TV news and print media alike. During this time, we've managed to capture the construction process using Drones. These amazing aerial images capture the the whole site and place this hub for community activity in simple context to its surroundings, showing perfectly the intended connectivity of the design. You can see the final phase video here.